I cannot believe finals week is here, this semester has gone by so fast! Yesterday was my 20th birthday and though turning twenty does not signify any “real” change in the way that turning 18 and 21 do, I still feel that it’s an important mile marker because you’re starting the second decade of your life and it’s a decade where typically a lot of things change. 1) It’s okay not to be perfect. This one was surprisingly tough to get through my head. For most of my life I was convinced that I had to have it all together all the time and was unhappy when things weren’t exactly the way I thought they should. This causes a lot of dissatisfaction in life because when you put very specific parameters around what is good and what is bad, it doesn’t leave a lot of room for, you know, being human. I’ve learned that some days I won’t exercise, but that doesn’t mean I should stop trying altogether. Some days I’ll eat a little too much and feel uncomfortable, that doesn’t mean I need to starve myself afterward. Not every single grade will be exactly what I was looking for, that doesn’t mean I’m dumb or a bad student, it just means I’m learning, and that is okay. You are loved just the way you are, right now. Perfect is not attainable but being the best version of yourself is and that is what you should work toward instead. 2) Moderation is key. My personality has always been drawn to extremes, it is easier for me to do something 100% or not at all than somewhere in between. This isn’t always a bad thing but I’ve learned that when you set exceptionally strict rules for yourself it makes it really difficult to succeed. Then when you don’t it’s very discouraging and the temptation to quit is quite strong. I’ve learned it is better to set more general guidelines for things like exercise, eating habits and productivity because you make it easier for yourself to follow through with your goals and you don’t experience such dramatic highs and lows. 3) OMG SLEEP. It wasn’t until this year that I really understood the importance of sleep. It is not a commodity or for the weak, we all need it and the sooner you understand that the better. The world is a much better place when I am well-rested and I am able to make the decisions that reflect my highest values. I get now that I should make sleep a priority because it affects the rest of my life in a major way. 4) Confidence is, uh, also key. I’ve never been a particularly confident person, pretty much the opposite. I realized that this was an issue a few years ago and have been working toward improving my self-esteem since. It is so important to have a healthy view of yourself, it affects how you treat others, yourself and every decision you make. I’ve learned that confidence can’t come from other people’s compliments or really from anything external. Real, true, lasting self-esteem comes from the knowledge that you are enough and that you are loved unconditionally. 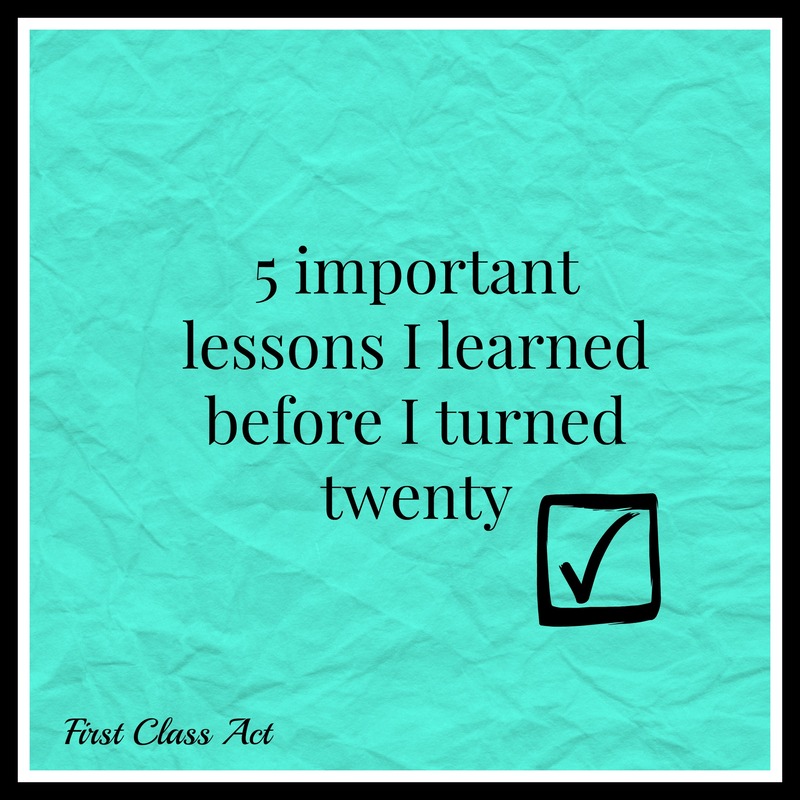 What are some lessons you learned before your last birthday? I hope this was helpful and if you’re in the hectic, emotionally and physically exhausting whirlwind that is finals week, the best of luck to you.